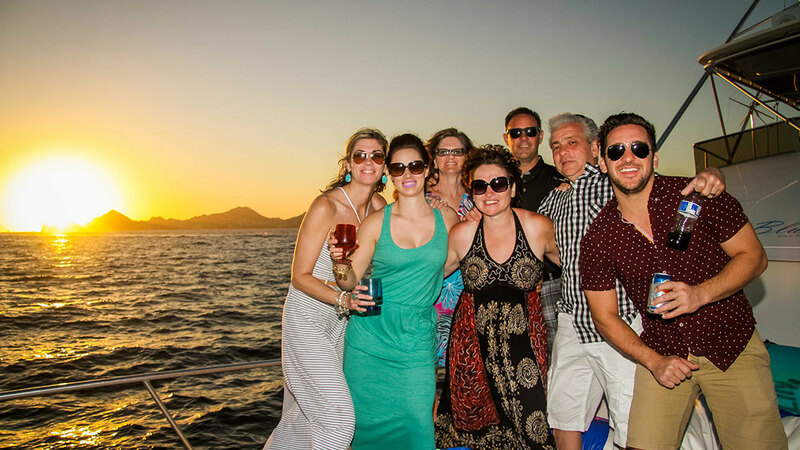 I wanted to take my family on an incredible vacation where we could all create memories that would last forever – and Cabo VIP Rentals delivered, and then some! My search started on the internet for the perfect villa to stay in which I found very overwhelming and when I got referred to Cabo VIP Rentals, they took care of EVERYTHING from start to finish, leaving me with no worries, stress, or planning; just pure enjoyment. You name it and Alice and Cabo VIP Rentals Concierge Shaggy will make it happen no questions asked. From the minute we were picked up at the airport to the minute we left everything was 5 star customer service with professionalism at its best – yet still extremely personalized, and friendly. You can truly see the passion and excitement Cabo VIP Rentals Concierge Shaggy has when he would interact with our group and discuss our excursions and experiences. 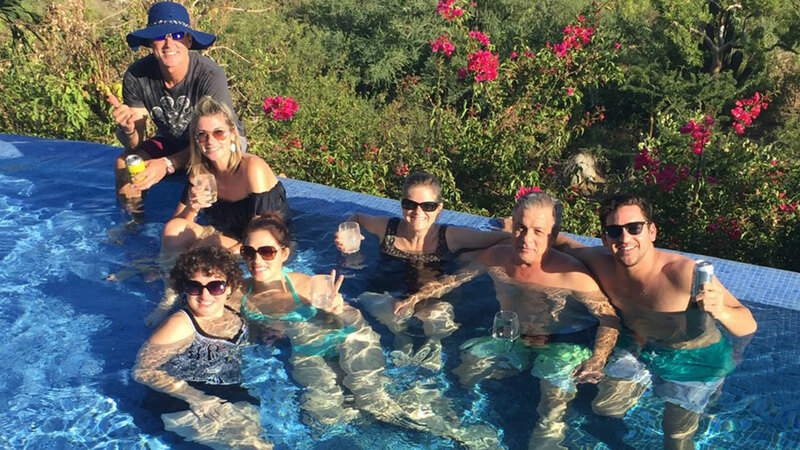 The moment we walked into Casa Porto we were greeted with smiles, cold beverages, light snacks and one of the most amazing views of the Sea of Cortez from our infinity edge swimming pool (I think that was the moment we all knew it was going to be one amazing vacation). While golf and dinners might have been the highlight of some of our guests trip my highlight was the sunset boat cruise. Cold beverages, perfect weather, great company and some of the best scenery and views Mexico has to offer. There was some mechanical issues with the original boat we were scheduled to cruise on and without missing a beat Shaggy had us booked on a different boat (upgraded too!) and everything went off without a hitch. He also surprised us with this specific brand of beer we love that we thought was impossible to find in Mexico for the boat cruise! Another major highlight and an absolute MUST DO while visiting Cabo is dinner at Sunset Mona Lisa. This came highly recommended from the VIP crew and I can honestly say it was one of the most incredible dinners we have been to. It wasn’t so much a dinner as it was an experience – You’re table awaits you perched high in the cliffs with the most amazing view of the sunset as the staff performs sunset rituals and entertain you with incredible live music throughout the evening. The Cabo VIP Rentals team even took the time to arrange and coordinate with the restaurant a personalized cake and our favourite champagne that came out during our dessert course to celebrate my recent engagement to my fiancé. It was truly a special moment with the family with the most scenic backdrop. 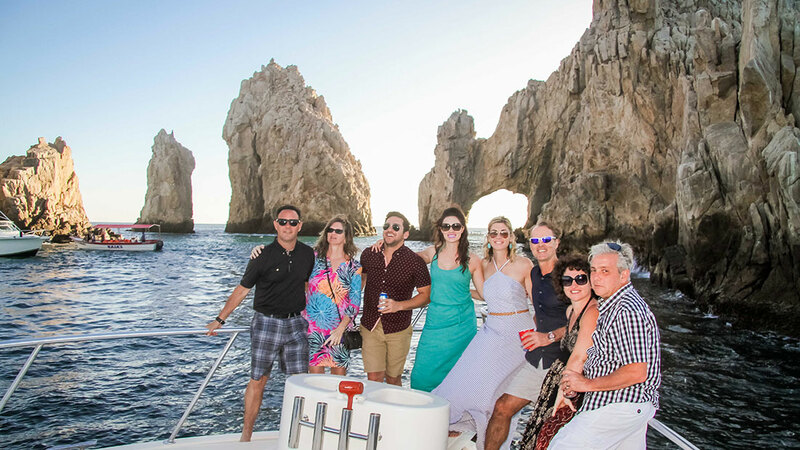 In short, we travelled with a group of 8 all with different interests and Cabo VIP Rentals has something for everyone in your group, no request too big or small for this crew! The accommodations, the service, the food, the excursions everything was beyond perfect – my only negative is that I only booked 4 days instead of 7! We will be back and I will only use Cabo Vip Rentals for all my vacation needs and strongly encourage everyone too if you want a perfect Vacation In Paradise! From our family, Thank you to everyone on the team!